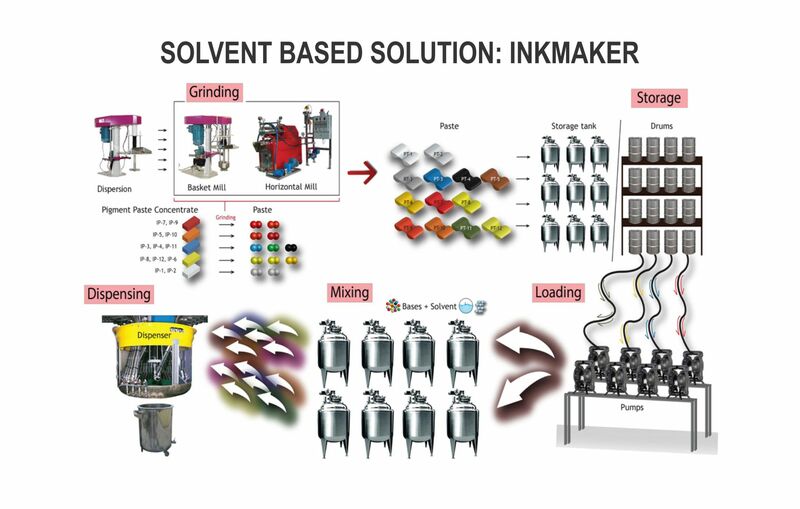 Inkmaker offers solutions for the convenient, practical, safe & economical preparation of solvent based products such as: OEM paint, car refinish, enamel, high performance coatings, coil coatings, marine paint, etc. 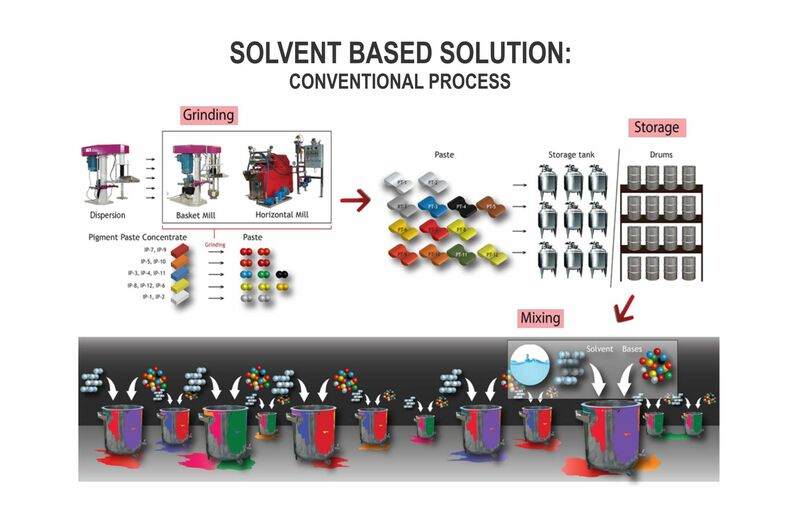 Our goal is always to offer easy-to-implement–easy-to-operate systems that drastically reduce production costs & time. All our solutions are custom designed and suitable to operate in hazardous environments, in accordance with the most stringent safety regulations and with the approval of certified bodies. Electronic scales control the weight of the products during dispensing operations and the dispensing valves are operated according to the weight information coming from the scales. 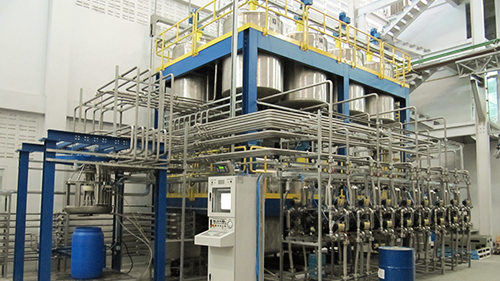 Components can be stored in drums or storage tanks of different dimensions, which can also be equipped with built-in mixers, and they are connected to the dispensing head via a custom designed piping system. Dedicated pumps deliver the products to the dispensing head. Pumps can also be used to refill the storage tanks with fresh products via custom built “loading stations”. All formulas are stored in a PC. Our software controls all operations, including those relative to storage tanks reloading, stock monitoring, batches tracing, etc.